Joaquin became a hurricane this morning with top winds of 75 mph and forecasters are showing a path that takes the storm just off the Outer Banks. 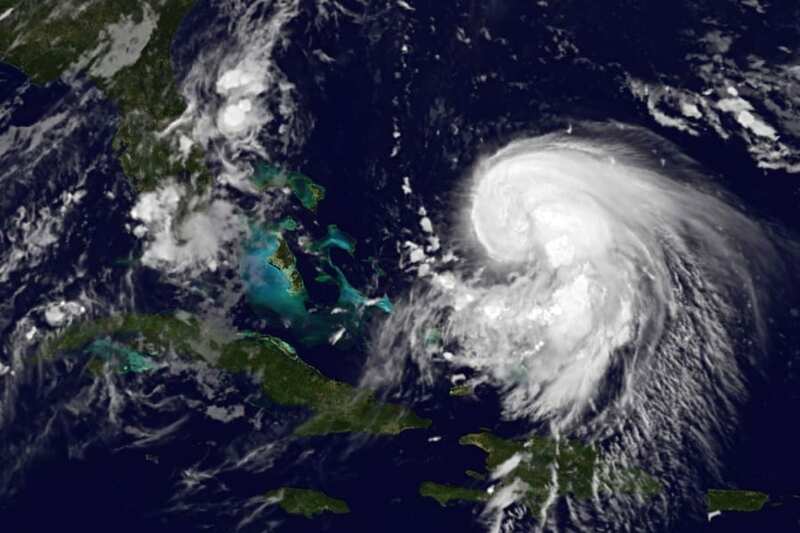 The National Hurricane Center reported Tuesday night that top winds could reach 110 mph in three days as the storm, which is nearing the Bahamas, makes a turn to the north. “A wide range of outcomes are possible and it is simply too soon to say what impacts, if any, Joaquin will have on the United States,” the Hurricane Center said on its website. The region could potentially see more than 10 inches of rain by next week, as a cold front is forecast to stall over eastern N.C. tonight and bring heavy rainfall before Joaquin’s presence would be felt. Computer models widely varied throughout Tuesday, sometimes showing the storm hooking inland near the Virginia-North Carolina border and alternately taking it out to sea. At 8 a.m., the storm was 395 miles east northeast of the central Bahamas with maximum sustained winds just above minimal hurricane strength. It was moving southwest at 6 mph. A variety of factors are complicating forecasting of the storm’s path, including the possible regeneration of Tropical Storm Ida to its east. Local governments and emergency management in Dare and Hyde counties said Wednesday morning they are monitoring the situation. The Hatteras Island Local Emergency Planning Committee has scheduled a meeting for Wednesday at 7 p.m. at the Buxton fire station to discuss plans for Joaquin. 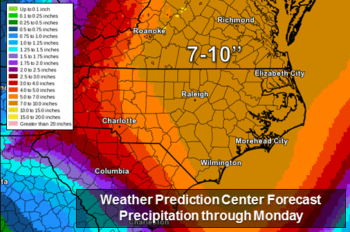 National Weather Service forecasters at the Newport/Morehead City office said widespread heavy rain is possible late this week through Monday morning. If significant rain falls upstream on the upper Coastal Plain and in the Piedmont, some inland rivers could reach flood stage next week.